Doctor Fate is a student of those ancient mysteries the secrets of which were lost when Julius Caesar burned the library at Alexandria. He delves into the sciences of the occult and the weird, being both an alchemist and mage. He has learned the ultimate secret of the universe, the true conversion of energy into matter and matter into energy. He lives in a doorless stone tower in witch-haunted Salem. 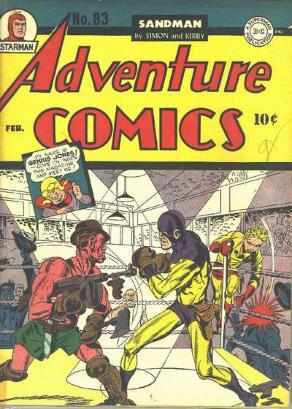 In his civilian identity of Kent Nelson, archeologist, he is married to Inza Cramer, who shared his many adventures as originally reported in More Fun Comics from his initial appearance in the May, 1940 issue, number 55, through issue number 98 (his origin is revealed in #67, the May, 1941 issue). Doctor Fate also appeared in many All-Star adventures as a member of the famed super-hero organization, the Justice Society of America. The son of an archeologist, young Kent Nelson accompanied his father Sven to the Valey of Ur, in his quest to solve the riddle of the building of the pyramids. There Kent discovered the living but inert body of Nabu the wise in a casket. By pushing a lever, Kent sent a flood of gas into Nabu's casket, releasing him from the state of hibernation in which he had lain for centuries. When Kent found his father dead, Nabu remained with him, teaching him the secrets of the universe, the lost mystical arts of Chaldea and Egypt, Babyln and Sumer. Nabu was from Cilia, a planet that orbits close to Earth once every several thousand years. 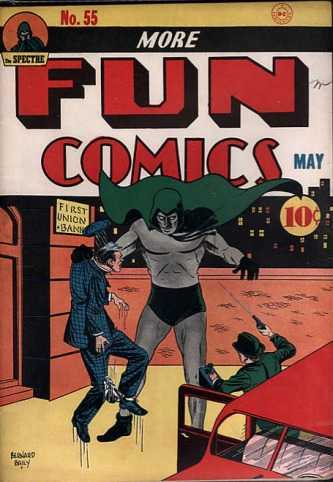 When he was about to return home, he gave Kent Nelson the blue-and-gold uniform which he was to wear in his adventurous career as Doctor Fate. Recently, Doctor Fate reappeared with the revived Justice Society to help its counterpart on another Earth, the Justice League, combat the Crime Champions and the Crime Syndicate of America. For one hour, thanks to the Miraclo pills, he became endowed with super-charged energy! At the end of that hour, he was once again a normal human being! 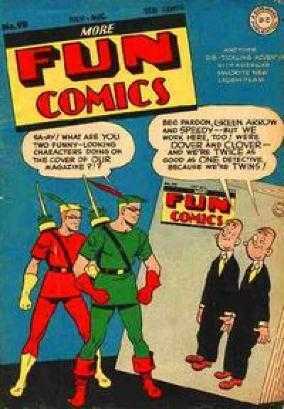 His name was Rex Tyler, who made his first appearance in Adventure Comics #48, the March, 1940 issue, as--Hourman. 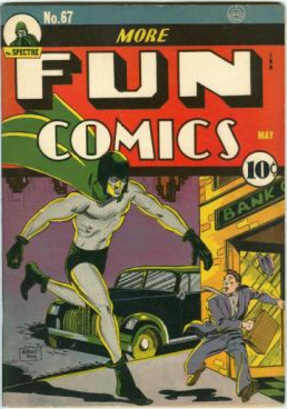 The inventor of Miraclo, "Tick-Tock" Tyler soon discovered that this powerful chemical transformed him from a meek, mild chemist to Hourman--a fleet-footed man with the strength of a giant, the leaping ability of a super-athlete and a body insensible to harm. Since his great powers lasted precisely one hour, he hung an hourglass about his neck to keep track of the time. When he first began his adventures, his superior at the chemical plant assured him he would never amount to anything because of his meekness, but today he owns that chemical plant and runs it with business skill and acumen. 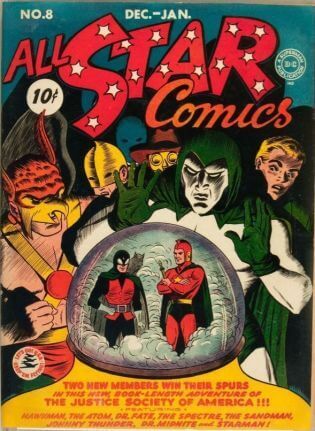 Hourman, too, was a charter member of the Justice Society of America but was granted a leave of absence and was replaced by Starman in All-Star number 8. 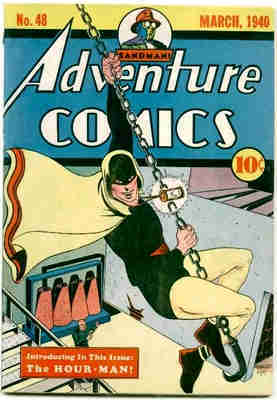 Subsequently, in issue number 83, Hourman was given another leave of absence, this time from Adventure Comics. Until his recent appearance in Justice League of America, he has remained in quiet retirement, until, that is, he was summoned out of retirement, as was Doctor Fate by the Crisis on Earth-One! and Earth Two! Battling side by side with such former friends as Flash, Green Lantern, Atom, Hawkman and the Black Canary, Hourman found a new love of life! Today he keeps his Miraclo and his Hourman costume in a secret vault in the Tyler Chemical Company plant, ready for any sudden emergency such as the one he is presented with in this issue--the reappearance of the marshland monster, Solomon Grundy! © 1965 National Periodical Publications, Inc.